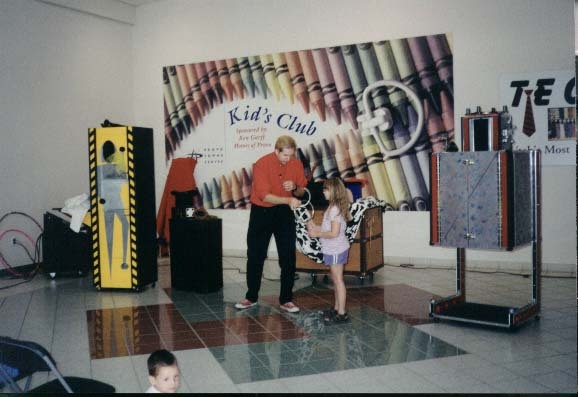 I absolutly love to perform for families and children! Truly, it's a great feeling to have an audience full of kids all laughing so hard they can hardly sit up! 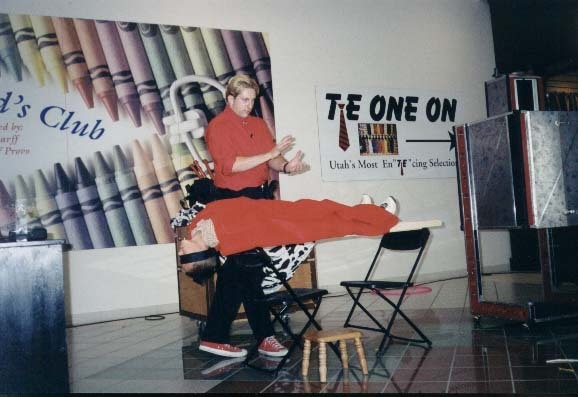 This photo is a Performance at the Utah Fun Dome. 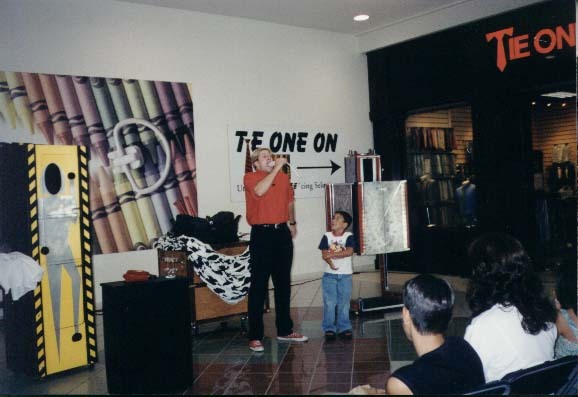 At the Fun Dome my show was competing with all the other attractions. The show had to be good, otherwise the audience would be off riding the roller coasters or go-carts, or enjoying one of the many other fun attractions. 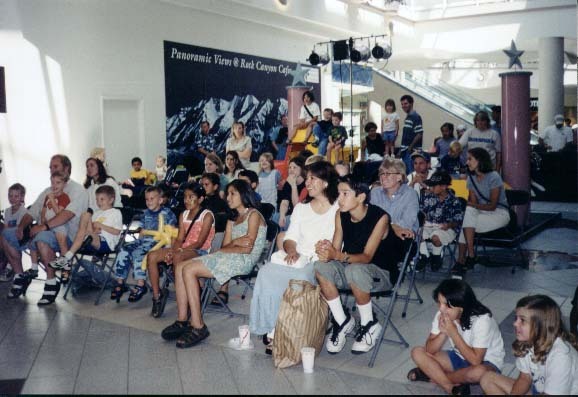 The fact that we pulled in such large crowds attests to how entertaining my show really is. 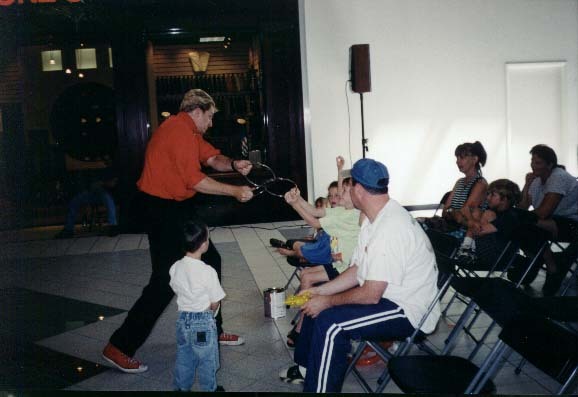 The photos below are from shows at the Provo Town Center Mall. You can tell from the smiling faces that these folks are really having a good time. Children are very honest and if your act is not entertaining or tailored to their special interests you'll know in a hurry. 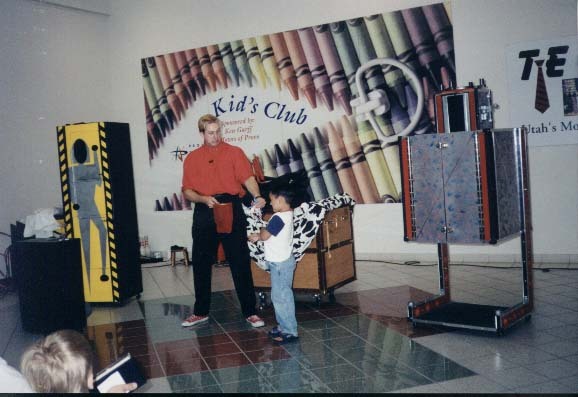 My children's show is fast-paced, colorful, humorous and magical, it's guaranteed to keep the attention span of kids of all ages. 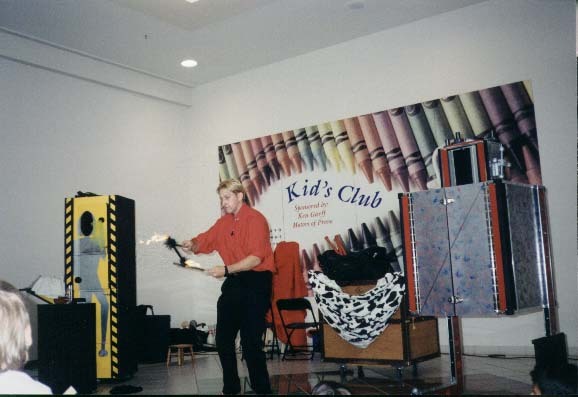 I have a long list of positive comments from parents, teachers and principles who were delightfully surprised at how entertaining my magic show was.